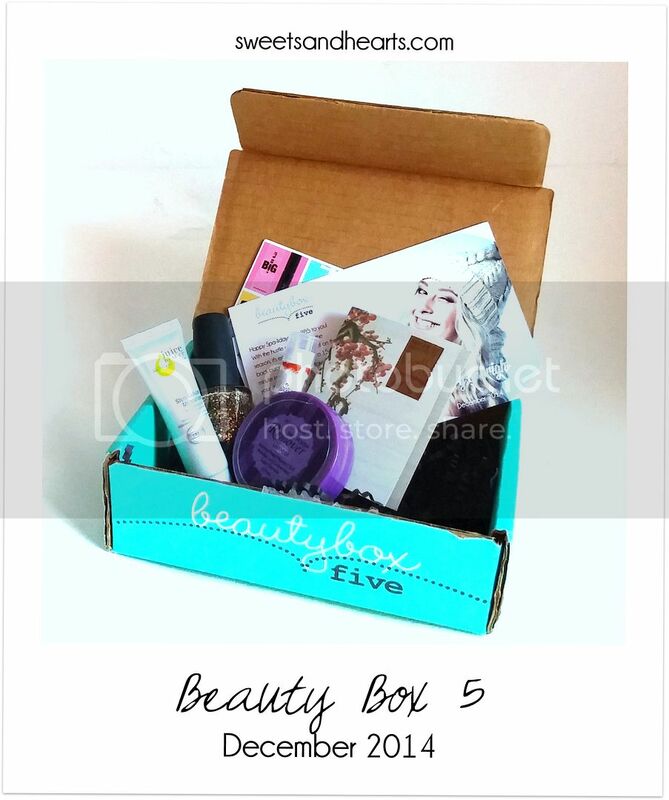 Due to all the holiday packages, I received my Beauty Box 5 a little later than usual, but it turned up so it's all good! There was a nice variety bath and body products this time around (a couple of them are perfect for winter hydration). Review and nail polish swatch below. 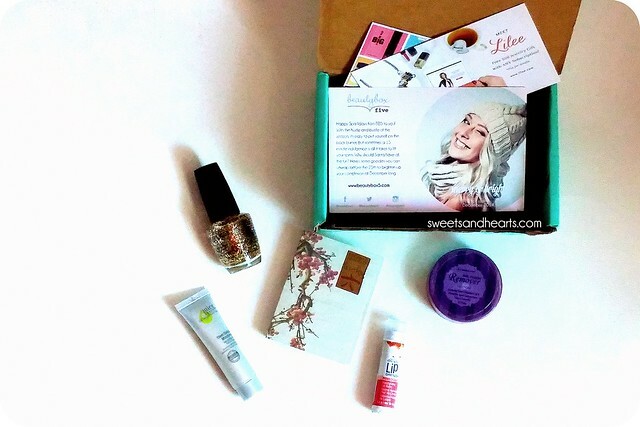 Juice Beauty - Stem Cellular Moisturizer - My favorite product in this month's box! This organic moisturizer is full of antioxidants and fruit oils. I loved the citrus scent and it was hydrating without feeling heavy. Definitely a winner. 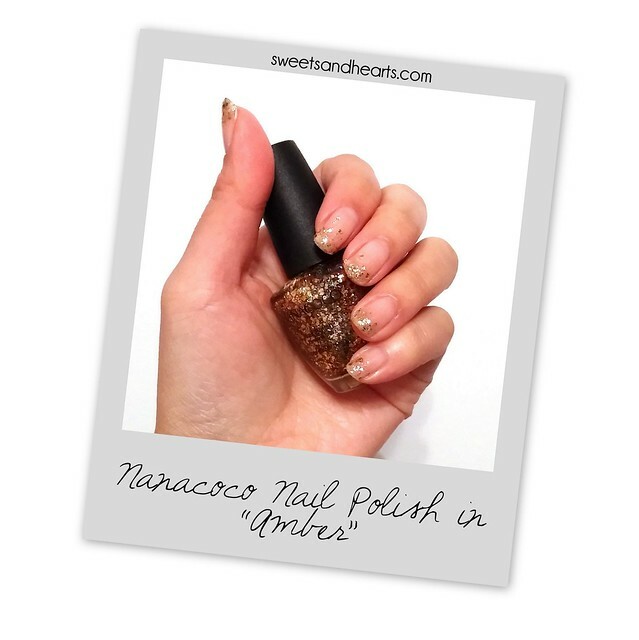 Nanacoco - Gold glitter nail polish in "Amber" - I'm a huge fan of Nanacoco nail polishes! I got this gorgeous gold glitter polish, which was perfect for the holidays and New Year's. I used it to create a glitter fade over a sheer white polish. See below. Absolute! New York - Nail polish remover pads - This travel-size container is filled with a stack of pre-soaked nail polish remover pads--so convenient and clever! The lavender scent is quite pleasant and it's acetone-free. 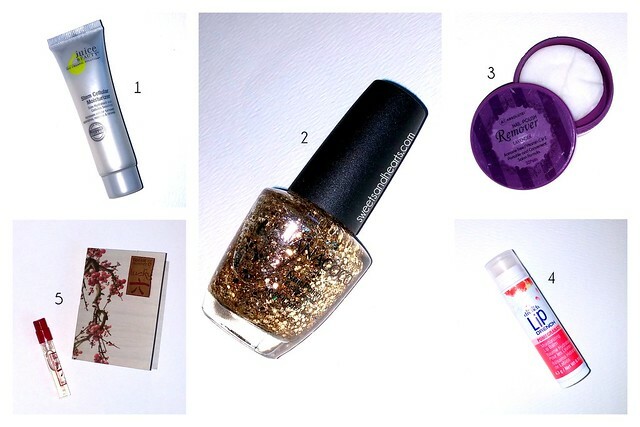 *It didn't work very well for my metallic/glitter polish, so you may need something a little stronger for sparkly polish. Body Drench - Lip Drench lip balm in Pomegranate - This lip balm contains Vitamin E Rosemary extract, and beeswax. It's a little thicker than some of my other lip balms, but I liked that aspect because it was really moisturizing. The flavor reminded me of fruit snacks, too. Lucky Brand - "Lucky Number 6" fragrance - This fragrance by Lucky Brand features a blend of lotus, tiger lily, cashmere woods, and jasmine. It has a rich, floral scent that's sophisticated and elegant. Nanacoco gold glitter nail polish in "Amber"